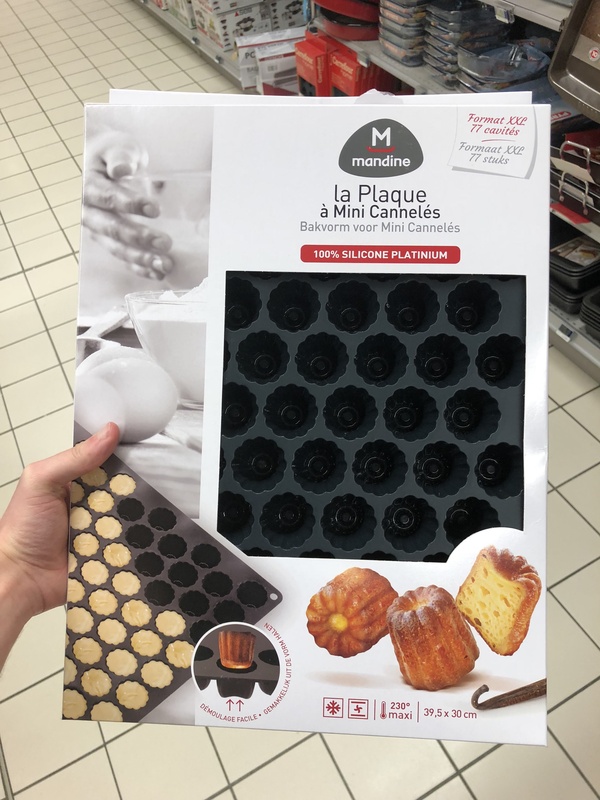 I purchased this cannelés pan which lets me cooks a whopping 77 mini cannelés at once. The outer ones are overcooked (often on one side only) an the inner ones are undercooked. This is clearly because the pan is too large and the heat isn't being distributed equally, but I'm not sure how I can solve this? I do not have a convection oven, so this is not an option. 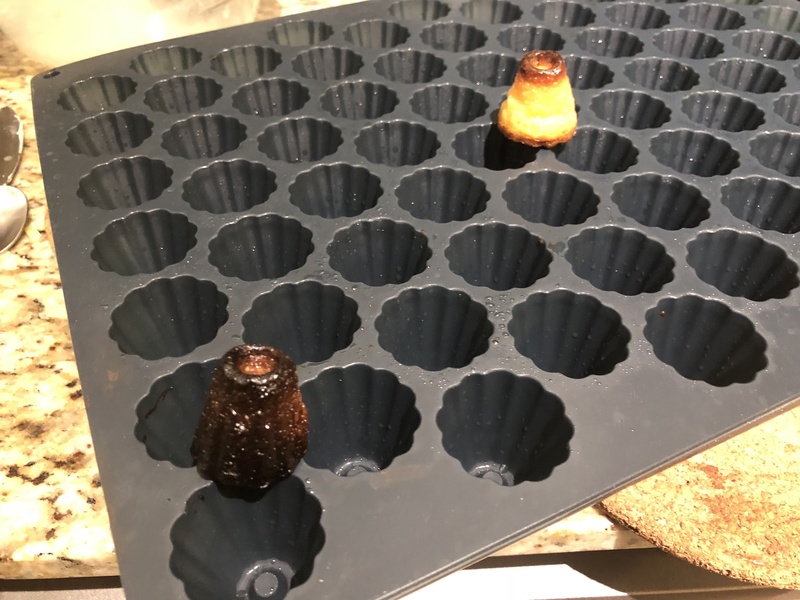 I put the pan on a cookie sheet as the molds are too small and become unstable if put on my oven's grid. Is there a better way to distribute the heat, place it in the oven, or change the baking time/temp to make it more even? I'm willing to buy additional tools to make it work. It's the cookie sheet that's the problem as it impedes air circulation to the middle of the form. The hot air circulates around the outside but it can't get to the middle, so the outer ones get over-baked and the inner ones under-baked. Changing the baking time or temperature isn't going to help. Not the answer you're looking for? Browse other questions tagged baking oven pastry french-cuisine or ask your own question. How do I make macarons de Paris in a neat shape and make them rise with the lip? How can I reliably bake pizza with no temperature control or pizza stone? What does tin foil do when baking a pot pie? Why not blind bake with two pie plates?